In conjunction with CODE’s Mexicana Logistics 300, we ran a new event last fall, the NORRA Mexican 500 - La Carrera del Norte. The race followed our unique format of special stages (unlimited speed timed stages in the dirt) connected together by controlled speed highway sections and topped off with our legendary hospitality. We will be announcing details on the 2014 NORRA Mexican 500 at a later date. Make sure you join our email list and we'll update you with news about the next Mexican 500 and 1000 rallies. 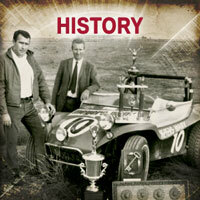 Click here for the 2013 NORRA Mexican 500 results. NORRA management has joined forces with Mexico’s well-established CODE sanctioning body to help organize the new Mexican 500 rally in conjunction with CODE's popular "Mexicana Logistics 300." Both organizations will share several pre-race festivities and also the Ensenada start and Mexicali finish lines on Saturday, September 28. There will also be some overlapping of course sections on Day 1 of the NORRA rally with CODE's event, but both groups are insuring that their individual race day logistics offer as much separation as possible to insure the highest safety and enjoyment for all. Click on the "RACER ALERTS" box on the right to see information for participants. CLICK HERE FOR OFFICIAL RESULTS as they become available. For the rules, official hotel list, fuel orders, pit services and more, please see the Racer Alerts Page. Click here to see the list of entries so far. Pricing is listed below. There will be an early registration discount of $100 for any vehicles entered in July. Registrations accepted after September 1 will be subject to a $100 late fee. These documents are subject to change. Please check back for any updates. 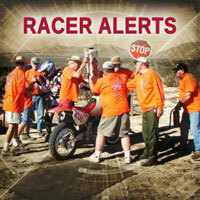 See the Racer Alerts page for details about hotels, fuel orders, pit services, etc. Also information about Mexican auto insurance, route map, GPS and other details will be posted there as it becomes available.